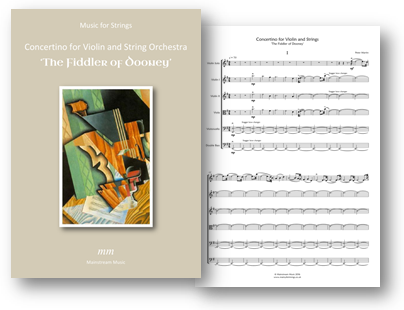 A three movement 'Celtic' inspired concerto/concertino for violin and string orchestra. Optional passages are included enabling the piece to be played using just the 1st - 3rd positions. Click here to listen to a recording of the piece. A piano reduction and backing tracks are also available.